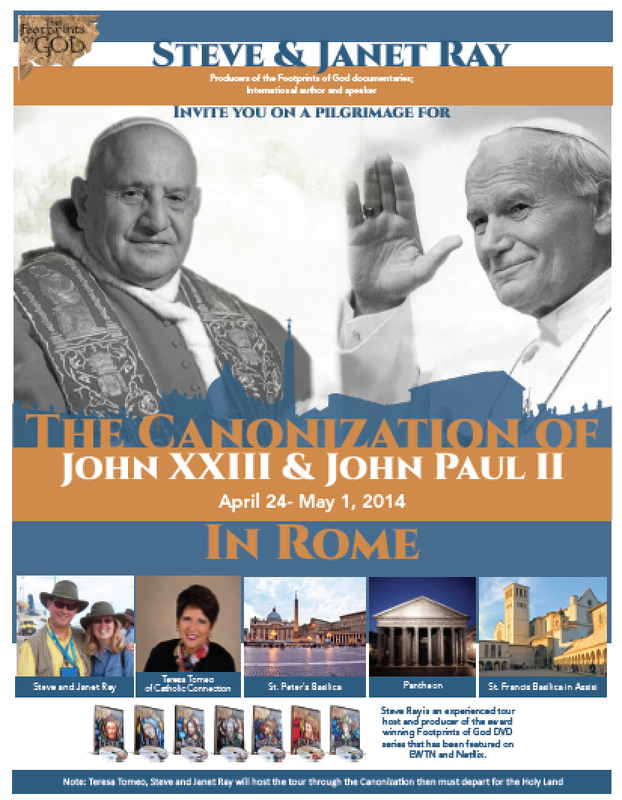 Want to Join us in Rome for JPII’s Canonization? This trip is filling fast – even before we have the brochure completed. 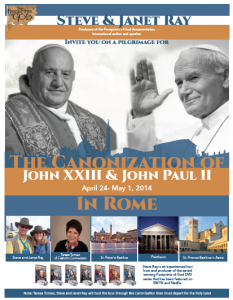 We can only take a limited number of pilgrims due to airline seats and hotel rooms available. Stay tuned for the full brochure available soon. This is not just to be in Rome for this historical event, we will also have tours of Ancient Rome, Christian Rome, a side trip to Assisi, Mass at major churches, visit to the catacombs and much more. Contact Suzanne at Corporate Travel at sparran@ctscentral.net or by calling 800-727-1999, extension 121.